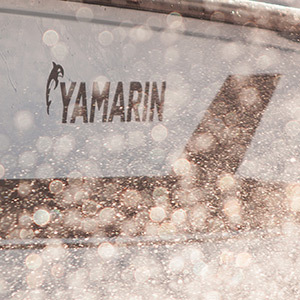 The Yamarin 88 Day Cruiser has been designed a pleasant boat to ride in and spend time on. Its open space, the largest of any boat in this size category, serves as a good-sized social area for a larger crowd as well. This space opens up behind the helm, with a comfortably cushioned G-shaped seat for 8–10 people and a large table in the middle.